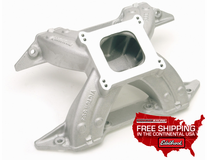 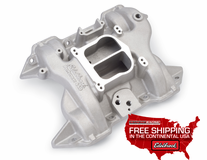 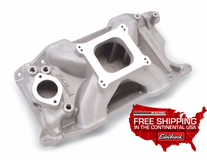 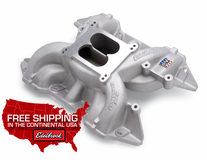 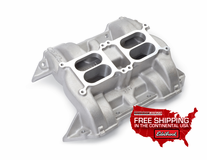 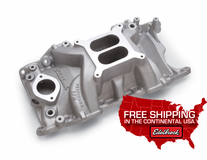 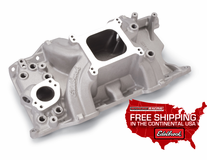 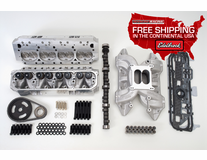 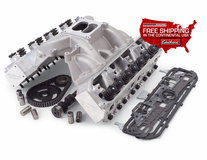 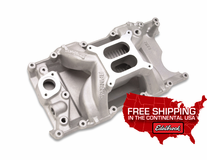 Mancini Racing now offers free shipping on Edelbrock intake manifolds within the continental USA. 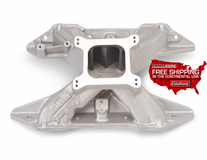 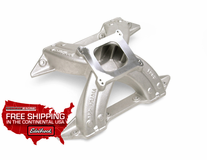 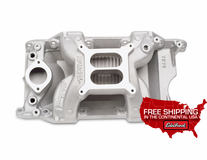 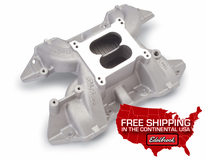 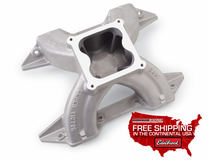 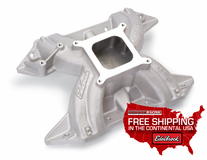 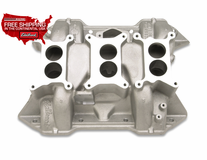 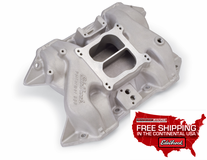 Edelbrock has several styles of aluminum intake manifolds to fit different applications. 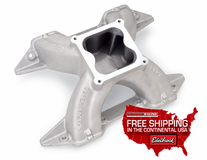 Each style of manifold has characteristics that make it ideal for the application for which it is intended. 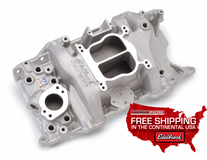 Years of design and testing in the area of induction technology have given the Edelbrock team invaluable insights into which characteristics work best under what conditions. 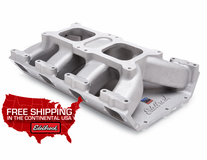 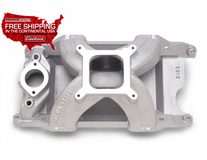 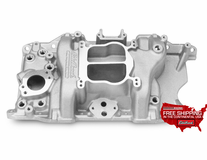 For the ultimate in quality, every Edelbrock intake manifold is cast at the ultramodern Edelbrock Aluminum Foundry and machined on computerized machining centers at Edelbrock headquarters. 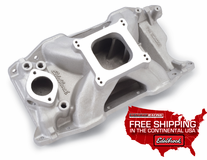 Whether you're building a daily driver, ultra high-performance street machine or race car, an Edelbrock intake manifold will provide the power right where you want it.